Great single display for any public space. Counter top design fits easily in front of customers. Perfect for hotels, Banks, Retail, Restaurants, Hospitals, & Lobbies. Powered by the Gallery 2000. 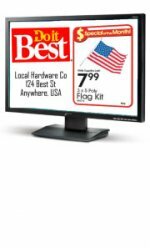 22″ display performer for any public space.